Gábor Szárnyas is a researcher working on graph processing techniques. His core research areas include incremental graph pattern matching, benchmarking graph transformations, and analyzing large-scale networks. Gábor works at the Budapest University of Technology and Economics, teaching system modeling and database theory. 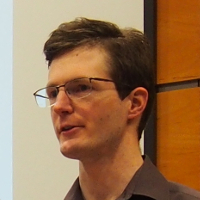 He visited McGill University as a graduate research trainee and is currently a member of the openCypher Implementers Group. He received 1st prize in the ACM Student Research Competition at the MODELS 2016 conference.